It’s Thanksgiving time folks! And we are back with a special offer to make your Thanksgiving Day even more special this year. Brush Your Ideas is running a limited period offer and giving away 10% discount on Web to Print Magento Extension (Not Applicable on Recursive Products). 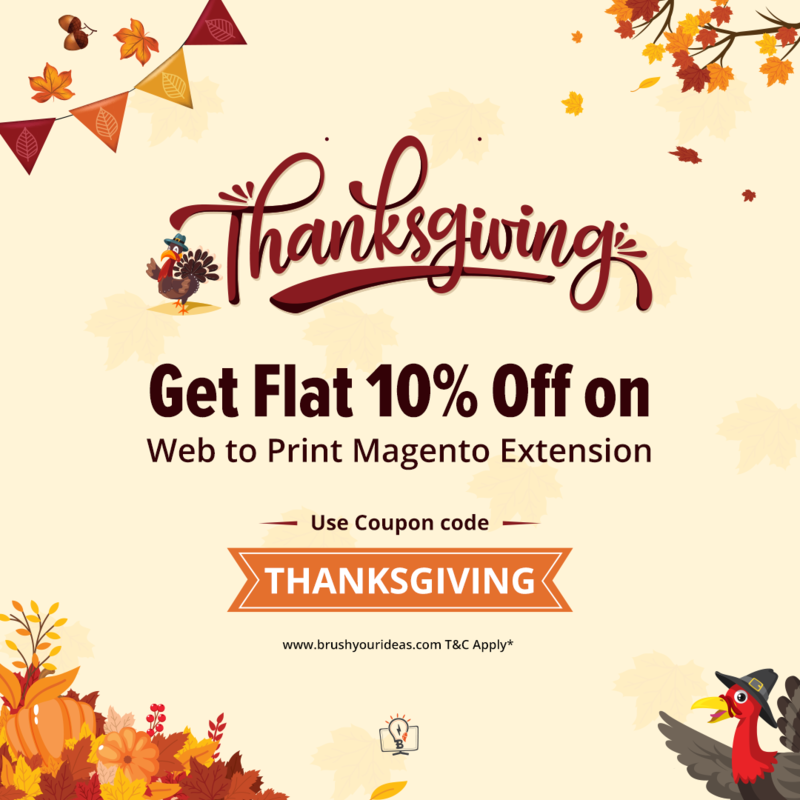 Just use the coupon code THANKSGIVING while you are shopping for your favourite Magento extension.